Shopping, duty free, tours, cultural exhibitions , large selection of duty free alcohol, perfumes, chocolates. 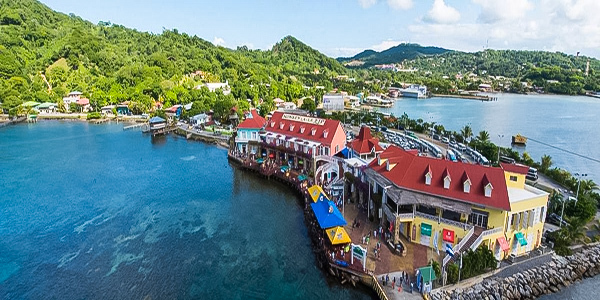 Check out our many tours and activities offered right from Port of Roatan Town Center. Our plaza features a dozen local tour providers. Local artesians hand crafting flavours, souveniers make great gifts. A wide selection of shopping options at Town Center. The facility is located on a region locally known as Dixon Cove, on the southwest coast of the island of Roatan. A 20 acre welcome center await tourists visiting the island. 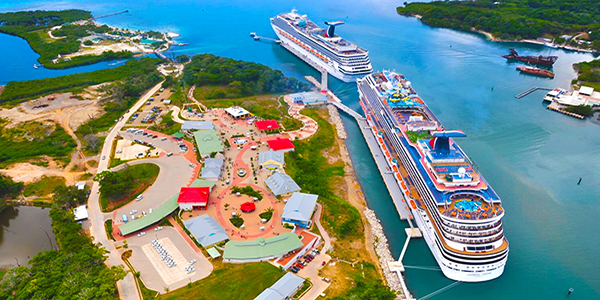 Mahogany Bay has a new chair lift system that takes cruise ship guests from the welcome center to Mahogany Beach, a 10-acre private island featuring an 825-foot-long white-sand beach with a beach volleyball court and myriad watersports opportunities.